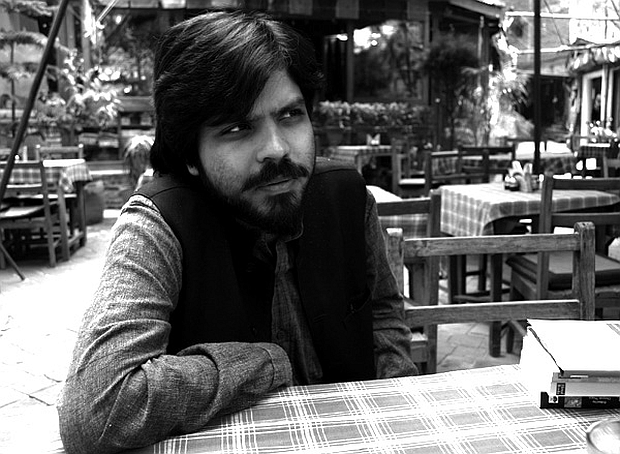 Though a bulk of his work consists of down-to-earth socio-political reportage from countries spanning the globe, Pankaj Mishra is what a modern-day philosopher would look like -- except he wouldn't call himself that. 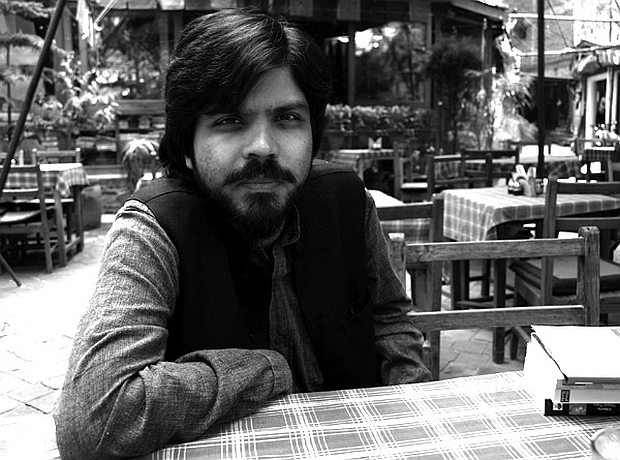 Instead, the Indian journalist and author deems his perspectives on the Buddha today, modernity as religion, the politics of introspection and the seductive thrust of history as neither ideological or intellectual, but rather an extension of basic "mindfulness" -- being cognizant of your own emotions and ideas at every moment, and acknowledging their relative insignificance in the trajectory of humanity. By being able to contextualize his own existence as non-essential, Mishra is free to simply think. The result? Arguably one of the most compelling critiques of "history" that we've seen, thus far. Liberator Magazine: Writing "An End To Suffering", your book about the Buddha, apparently took you more than a decade. As described in the book itself, the process was intimately linked with changes in your own life. By contrast, you are said to have written your first novel, The Romantics, in nine weeks. What made writing this book such a drawn-out endeavor? Mishra: Most books germinate within you for a long time before they are ready to come out. I wrote several drafts of the novel over many years and when I finally got to the last one, it didn't take much time. The Buddha book was, for a long time, little more than an agreeable fantasy. As I describe in the book, I had gone to live in a Himalayan village with the idea of trying to be a writer, and I thought: What can I write about? I came up with the idea of writing something about the Buddha, but I had no idea about how complex and difficult the process was going to be. Nothing came out of it for many years, and nothing could. I really had nothing to say. I hadn't seen anything, I hadn't experienced anything. I would have ended up writing one of those very conventional books about the Buddha; something with the smell of libraries on it. The book began to take shape only as I left India, and traveled a bit more. 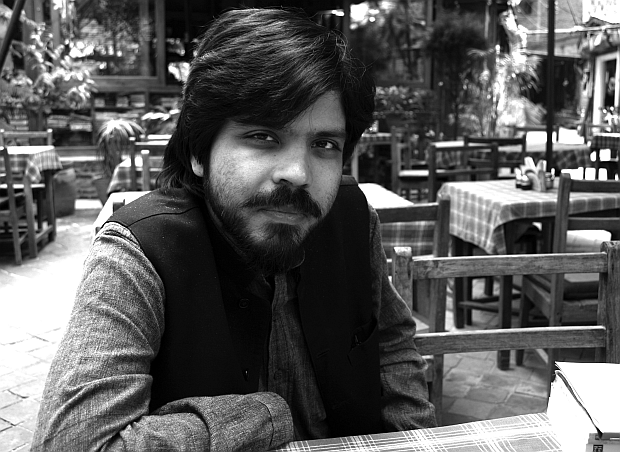 In places like Pakistan and Afghanistan, I started to examine the assumptions and ideas that I had grown up with, about what I should be doing, how the world is and ought to be. Ideas adopted unconsciously from the culture around me and from the Western books I read. When I finally started on the book, I knew I couldn't leave out the process which had led me to write about the Buddha. As I wrote, I also had to look at my own life these last ten years or so, and that became very much part of the narrative. I was very clear that I didn't want to write a straightforward book about the Buddha. I felt no need for it; there are already many books out there. Liberator: So why did you stick by the theme of the Buddha, rather than just dropping that and writing an autobiographical book instead? Mishra: Because Buddhism resonated very powerfully with a lot of my preoccupations. My work might -- to an outsider -- seem very distant from the Buddha or Buddhism: my interest in politics; my journalism and the assumptions I work with there; my journeys to places like Kashmir and Afghanistan; and so on. But, as I began to see how these preoccupations connected with the ideas of Buddhism, I had to re-examine my political ideas and assumptions about how societies function and ought to function. I began to feel that this unconscious faith in the power of modernity to heal that I had was unsustainable. It was just another form of religious faith, with not much evidence. When I looked at it clearly, the evidence before me was really the evidence of the destruction that modernity had caused. Take Afghanistan for example, where the Communists came in and tried to modernize the whole place, eventually setting off a process which destroyed the country. Or take the effort to incorporate Kashmir into the secular Indian nation, a venture which has caused so much violence and destruction. I couldn't avoid seeing what had really happened in these places. I just had to shift my focus. It was not just a case of thinking, If only we had a more educated regime; if only we had middle-class people running the place it would be alright." No, it was something deeper than that. These were places with a very long history where people lived a kind of life that had been deemed backward, primitive, something to be grown out of, something to be destroyed and replaced with a new form of economy and a new kind of politics. That process had been extremely disruptive and had caused enormous suffering. So, my journeys went together with my thinking about Buddhism, and Buddhism helped me re-examine the religious ideas I had learned about how democracy, elections, and representative politics could solve all problems. There was a very clear link there, in my own mind, and I wanted to make it apparent to the reader that the Buddha is not a dead figure for me. He's not somebody who is 2500 years back and from whom I'm just taking some tips for meditation. His ideas are very much of relevance to our own times. Liberator: You usually come through as a secularist -- in the particularly loaded Indian sense -- and as a defender of Nehru and other modernizers, but with An End To Suffering, you took a very different direction. It centers on an ancient religious figure and discusses at length such things as salvation, rebirth and the metaphysical connectedness of all phenomena. Mishra: I am a secularist in the Gandhian sense of the word, not the Nehruvian one. Nehru thought religion was an antique superstition which stood in the way of rational modern politics. I side with Gandhi, who wanted religious figures out of politics but also was suspicious of purely rational politics. He was unwilling to subordinate individual conscience and its quest for truth, which is what he meant by religion, to modern realpolitik and the supposedly higher aims of nation states and classes. As we know, it is the Nehruvian version of secular modernity that has prevailed in India and elsewhere. I think that approach is severely limited in that it has no persuasive spiritual vision of man. People are reduced to finding fulfillment as either producers or consumers in large nation states locked in fierce competition with each other. Artists and intellectuals also help realize this project by providing meaning and stimulation to their middle-class audiences. For me, the Buddha offered a way to rethink my own role as a writer and to give up, first of all, the idolatry of literature and the intellect that I had spent so much time and energy on. Liberator: To me, much of the appeal of your journalism stems from an implicit understanding of India as a faithful miniature of the global situation. There's a sense that the Indian experience has plenty to teach the rest the world. But both in your novel and in An End to Suffering, you convey a claustrophobic feeling of living at the world's fringes, stuck in an invisible zone. How do you regard your role as an author writing primarily about Indian culture and politics for a non-Indian readership? Mishra: This is a very important aspect of the book. I made a conscious attempt to first describe the marginality of the narrator and his subject, and then to view them within a larger historical context. This comes out of my own experience as a marginal figure first within India and then within the West. When I first decided to be a writer, that meant dealing with preoccupations and concerns that took little account of Indian traditions. I saw India's past as part of an antiquity rendered irrelevant by modernity, which with its science, nation states, free enterprises, and consumer societies was supposed to have solved all problems. But clearly it hadn't, and I was later forced to re-examine my basic assumptions. Modernity has created more problems than it is capable of solving. Millions of people are now condemned to wait endlessly for their redemption through modernity. It's slightly dispiriting that in all the interviews I have done in the United States, I have struggled to explain this to people who can't even begin to understand where I am coming from. They're not adequately aware of their own assumptions — their faith in modernity and the superiority of the West. Liberator: Your perception of modernity is divulged in bits and pieces throughout the book, but taken together, they amount to an extremely harsh critique. What is it that you call modernity? Mishra: I think what I call modernity is a set of ideas that has been put into practice in this part of the world [the south] mostly by force by the West during the last four or five hundred years. It's this whole process of dominating older societies and making them follow a certain way of life, which involves endless multiplication of desire, endless growth, endless expansion, endless trade. These are seen as the ultimate human goods. Once you decide upon that model, you have to organize society in a way that supports it, so you come up with nation states, which was done in Europe in the nineteenth century and was then implemented in the rest of the world. We are living with the consequences now: the extraordinary violence of the twentieth century, which if anything seems to be growing in the new century. In Europe and America this is considered the most wonderful thing which everyone else should follow, and if they don't it's going to be imposed upon them. It's not a choice for people here in India or Nepal. The very basis of all of this is a certain idea of what human beings are here to do, what human nature is. Liberator: When you call the whole modern project and the fundamental ideas of the Enlightenment into question in this way, don't you see a risk for anti-rationality and obscurantism? Mishra: There can be, yes, but at the same time, I think excessive rationality can be very dangerous. Certainly the kind of rationality we've seen in the last hundred years, and still see on a daily basis when Madeleine Albright says that it's all right, we have to live with the idea of hundreds of thousands of Iraqi children dying because it contains Saddam Hussein. You see an instance there of rationality gone mad, in these utilitarian cost-calculations where you're thinking of human beings as things that can be sacrificed for the sake of a bright future. So I'm not so worried about being seen as anti-rational, because it's rationality, a certain kind of rationality, which is dominant and which powerful nations use in explaining and justifying their actions. I think the necessity of a critique of that kind of rationality outweighs the risk of being perceived as anti-rational. Liberator: Still, in your book you also wrestle with the question of whether this perspective doesn't reduce your ability to think and act politically. Mishra: Buddhism doesn't really have much time for political mass-movements. We are so trained to think of politics in terms of acting collectively, acting as part of mass-movements, that it's become hard for us to imagine a form of politics that is based on a high degree of introspection and self-examination. Being in America during the last election was very instructive because politics there is completely trapped in simplistic binaries. Everyone who was opposed to Bush supported Kerry, or at least hoped that he would win, without ever examining their shared basis. The basis was not really different between Bush and Kerry. It was just a question of style. When the politics gets simplified in that way, you avoid the larger questions of the habits of consumption and the disproportionate share that you as an American have of the world's resources. I mean, you just don't see the kind of national thinking and introspection that should be happening. You also don't see it in the left-wing magazines. It's all about how do we get rid of Bush, as if that's going to solve all problems. As if we don't actually need to confront the fact that because we consume the way we do, we become this violent super-power and have to go and invade all these other countries. Liberator: To the extent that they know anything at all about Buddhism, many on the left would claim that it's the perfect bourgeois religion, because, as you say, it focuses on the individual. They see Buddhist philosophy and practice as regressive, diverting attention from the conflict of interests in society and making individuals even more malleable to the demands of the state or the corporation. Mishra: That would probably come from a not very deep comprehension of Buddhism. There have been many instances of people combining the political life with the spiritual life, a life of constant self-examination. Gandhi, as I write in the book, was a great example of that. He, of course, was not a Buddhist, so my point is not that everyone must be a Buddhist, or say "I'm a Buddhist," before living that kind of life. Gandhi saw how people have to re-think their own individuality before engaging in political activity. Otherwise they're just playing the game that the adversary has set out. The terms of the game have been set and you're simply another player. You have to be able to decide, 'Well no, I'm not going to be violent, I'm going to suppress that impulse; I'm not going to be greedy.' Unless you're able to do that you're stuck with adversarial politics that leads nowhere and creates ever greater violence. The Dalai Lama is another example. Some people might say, 'Well, what has he done, what has he actually achieved?' But that is misunderstanding the larger conception of life and politics people like Gandhi and the Dalai Lama have. We're not here to win political independence. That might be part of it, but to gain political independence for India or Tibet is not the only aim. That's why Gandhi spent thirty years working to internally reform himself and the people around him. Before getting to the stage where you can be politically free, you have to be prepared for that stage of freedom. So, I think that in a lot of exchange between the left and spiritually motivated politics there is a fundamental mismatch of conceptions, because the traditional left thinks of politics as the end of everything. Everything is political and there are certain well-defined goals, like capturing state power, which are sacrosanct. There is a sense that the West has produced all the great ideas and those are what we work with. Everything else is seen as somewhat hokey. "The wisdom of the oriental East and all that ... Yeah, it's all very nice but really not practical." It's a very strong prejudice. It's hard to fight that. Most people turn things like elections into a fetish and think it's the only way to go: if we just keep giving people the vote, that'll solve all our problems. In the end, that's just a silly, infantile notion. Liberator: You point out in the book that most of the early followers of the Buddha were from the commercial class, and to a large extent that seems also to be the case nowadays, particularly in the West. We don't see Buddhism spreading in the slums of the Third World like Christianity or Islam. Mishra: Buddhism has always been a religion for people who've worked their way through a cycle of materialism and still feel discontented and want more, or have questions that their state of prosperity is not answering. Christianity and Islam are concerned with the idea of justice, which can turn into political justice, social justice, economical justice, and so on. Buddhism is not so concerned with the idea of rights. There is more talk of responsibility than of demanding rights. Liberator: Do you think that is something that's applicable outside of a small group of privileged people? Don't you need certain conditions to even begin to take responsibility? Mishra: It wouldn't be applicable if we went around saying to poor people, ‘Look, don't desire anything, that's really the root of disaster, and look at rich people, they're not happy either.’ But we could have a kind of politics which is not only about self-interest. We need to infuse politics with ideas like compassion and empathy, and a sense that we live in an interdependent world. Those ideas are as applicable to poor people living in slums as to relatively prosperous middle-class people. Politics now is really only about self-interest, which means it has violence built into it because your self-interest is going to collide with the self-interest of the rest of the world. That's inevitable. So much of democracy is built on antagonism. It institutionalizes a certain kind of antagonism. This is not to say that we shouldn't have any democracy, but the fact is that democracy has hardened political identities and made them more violent. That's why there's been more violence in India since it became democratic compared to when it was under colonial rule. Once you empower people and say,’ Here you are, now you get to dream the great dream of becoming a full citizen with equal rights and radical improvement in your living situation,’ you are creating an illusion which will break one day. And when it breaks it creates frustration and resentment and violence. Again, this doesn't mean that you shouldn't work towards a more equitable society, or a society based on compassion. But thinking that the only way to do it is by dispossessing somebody in order to enrich somebody else, that notion is based on an untenable zero-sum game calculation. Liberator: It seems that things like land reforms are hard to get around if you want to reform a country like India, or a lot of Latin American countries, for example. It seems hard to get around questions of dispossession. Mishra: It's a question of how you do it. I'm not saying that the five families should go on running the country and everyone else should just be happy with their little religion and customs and traditions. But I've become more and more a gradualist and maybe a conservative in that I find that ideas like revolution and radical land reform are usually just taken for granted without being examined. To think that land reform is going to somehow automatically create an equitable system, I think that's just wrong. It's a very technical view of the world. Again, a very rational manipulation, "If only we can draw a line here and a line there things are going to be fine." What are the basic ideas informing this process? Gandhi was accused of being a bourgeois by Marxists in India because he was in favor of a gradual process whereby you don't destroy relations built over decades and centuries. Some of those relations to modern minds might seem exploitative, but you must examine your assumptions of what is exploitative. A lot of people were given protection by the feudal lords. When one of those people is now being given a piece of land which is too small to be economically viable, and leaves the village to work in Bombay and has to live in the slum, he is exploited even more mercilessly than he was back in the village! The supposition that creating a happy society simply means having land reforms and making the population economically productive is a faulty notion to begin with. Liberator: There is a certain ambivalence regarding modernity throughout your book. Sometimes, you seem to say that the problem is that modernity is a promise that, for most people, can never be fulfilled. At other times, modernity is described as something not at all desirable in the first place, especially when you write about first coming to England and seeing what life is like there. Mishra: Well, what does it actually consist of? Having these very alienated cities where people don't even know their neighbors? A lifestyle entirely built around consumption, where you work for most of the year to get your little vacation? In America, you don't even have proper holidays. It's really one of the most prosperous slave societies in history. People work their asses off all year long and get two weeks off! It's incredible. And this is supposed to be something to which we should all aspire? It's a form of pathology, really; a form of pathology so widespread and deeply rooted in political structures that it has become the only way for a lot of people. If you were living in a subsistence agricultural economy in some remote village in Nepal or Tibet, you'd be slightly immune, but otherwise everyone is pulled in. The fluctuation of prizes in Africa has an effect on farmers in India, and you end up committing suicide because there's no market for your product, and so on. Look at the summit of modernity, its greatest achievements, these big cities of Europe and America: how happy are people there really? How much happier — is there a way of quantifying it? — than say a peasant in India in the eighteenth century, before the British arrived? Liberator: What is it then, in the light of all of this, that you think the Buddha had to offer? You describe him as a contemporary with insights that are of special relevance for our times. What are those insights? Mishra: I think his greatest insight was seeing the insubstantiality of the human ego, of the self which we think is constant within our experience. We are always boosting or trying to prop up the ego by fulfilling some desire or other, and always craving affirmation from the outside. To see the ego as something incoherent, to see that it deceives you and leads you into illusion — that is really an extraordinary insight which leaps over all these other remedies that we've come up with: psychoanalysis, psychotherapy, and so on. It confronts you to look at yourself and to learn humility about your position in the world, and about the position of your nation in the world. I think this basic humility is so important at this point, because we've been pumped up with so many arrogant notions about who we are, what we are here to do, what we can achieve. We need to learn that this is a bundle of conflicts, a bundle of processes and random impulses. Mishra: Yes. Seeing this is really a major breakthrough in terms of achieving knowledge about yourself. It is to really arrive at some clear perception of yourself and your abilities to change, your abilities to work on yourself and on the world. I think everything flows from this insight. Everything else begins to look different. Liberator: Historically, you also see some parallels between the Buddha's time and our present situation? Mishra: There was great political uncertainty in South Asia at the time of the Buddha. The older small tribal societies were cracking up and gave way to bigger states. There was much more trade and travel going on than before. To people in the cities the experience of living in a small place where you knew everyone and governed your affairs by consensual democracy had been lost. People felt that they could break out of traditional roles and change their situation, but they came up against limitations all the time. They were bewildered by the scale of the changes around them, and by the world that had suddenly opened up before them. This experience of being uprooted, of the world as an enormous place with no place for you, is similar to the situation of a lot of people nowadays. In India it started in the nineteen-thirties. Here in Nepal the same thing probably happened more recently. Liberator: Another major theme in your book is the idea of history. For you, history seems like something necessary but essentially unreliable and suspect. At one point you call history a "seductive idea." Mishra: There is this idea of history as something you make, as a meaningful narrative with a beginning and an end, the end being a utopia of happiness that we'll reach through socialism or free trade or democracy, and then it will all be wonderful. It's the idea of taking your destiny in your own hands, not so much in terms of working on yourself, but in terms of manipulating the world. So you go out and conquer and expand and you do this and do that, and all of it adds up to meaning, and it's a good meaning: we're all getting better all the time. This is an ideology of history which I find quite suspect. It is a relatively new idea which developed in the West. Have you ever encountered this in the Indian tradition or Chinese tradition, that there is something called history and it is meaningful? Liberator: Well, it's kind of the opposite. Usually there's talk about a golden age, and then you have things going downhill. So, in that sense I would say history is important in Indian culture. Mishra: But the idea that human beings can make history, that is something quite unique to the modern West. Here, I think it would be seen as hubristic. This Western conception of history has had great consequences over the last two hundred years. You see it in the invasion of Iraq. You see it in almost everything that is said and done. I myself, at one time, wanted to be like the explorers of the Himalayas that I used to read about; people intoxicated on the myth of history. That's why I call it a seductive idea. Liberator: At the same time, history as a type of literary sensibility, as a way of approaching persons and places, is very much present in your book. I got the impression that history is something unavoidable for you. Mishra: Absolutely. That's more a sense of history as something that gives a particular character to a place, history as a record of things that are worth remembering. This kind of historical perspective is one which tries to trace a certain kind of trajectory. Not a simplistic one of linear cause and effect, but a more complex one of how different factors coming together has lead to what we see in front of us. Those factors are still present, they've not gone away. Through history, you can see how the past is very much alive in the present moment. Liberator: This is reminiscent of some of the modernist writers that you mention in An End to Suffering, like Proust. You apparently see an affinity between their way of thinking and Buddhism? Mishra: In the West, the notion of the human individual is based on the idea of the autonomous, self-possessed self which desires and then goes on to fulfill its desires. Proust discovered that he was no longer the same person who once loved this woman when he was in his late teens. He had moved on, he had changed. Through his own experiences of love he came to sense that there is something fraudulent about desire. It's constantly shifting and makes you feel frustration even when it's fulfilled, because at the time of fulfillment you're not the same person as the one who first gave rise to desire. This is elementary in the Buddhist tradition, but it was a breakthrough in the West because the human being had been conceptualized so differently. The modernist authors' critique of individuality was present in Buddhism from the beginning. Buddhist thinkers brought up ideas about an autonomous, eternal soul or self only to critique them. I found it very useful and interesting to compare the revelations of modernist authors writing about the bourgeois individual to Buddhist insights into human personality and discover that the incoherence that they discovered was quite akin to the incoherence the Buddha discovered. Liberator: But you also seem to feel a certain disenchantment with literature. That comes through both in An End To Suffering and in your novel. Mishra: It's not so much disillusionment, but rather the end of my own false ideas about literature, which are easy to develop if you live in India far away from things. I had a kind of fantasy about what the literary life is all about and what writers are all about. The writers in the secular world are contemporary versions of the sages and saints of previous eras. They are seen as the voice of their nation's conscience: people who think about deep things and write all day, and then present a vision of things. I find that notion very limited because so much of literature is to do with ambition and envy. Most writers have very little that's important or valuable to offer; most of them are just repeating each other. Liberator: So, what's a true writer for you? What is true and valuable literature? Mishra: I still prefer going to the classical writers, the modernists and the nineteenth century writers. Much of what has been done since then has just been repetition. A lot of it is marvelous but the forms haven't changed. It's basically the same novel being written over and over again, only the characters change. Increasingly it's about Chinese or Indian people in America or Britain, or Muslims in France, but the form is still the same, has the same emphasis, is based on the same set of ideas. The great revelations are not going to happen in a novel anymore. They've already happened. It's over. It's over, really. Liberator: If it's not history, not literature, not philosophy, and not ideology, what remains? What can bring about the end of suffering? Mishra: The idea of mindfulness is, to me, a sufficient building-block. Being aware of your own emotions and ideas at every moment and realizing that these feelings and thoughts are really only that: feelings and thoughts. They shouldn't be allowed to have the kind of control they normally have over us. Being mindful of that is in itself to work through suffering. Most suffering is human-made and avoidable. It's mostly in your head. Then, that mindfulness can go in all kinds of direction. You can expand it to when you're reading a book and be aware in the process of reading. What are the presumptions and prejudices of the author that you're reading? If you're feeling pleasure from reading something, you can ask yourself, 'Why do I feel this?' Or why do you find another piece tedious and hard-going? Liberator: You mean we should question that sensation? Mishra: Yes, question it. Anyone could do this exercise without having to read any book about history or Buddhism. I think that's what's important and extraordinarily practical about Buddhism, that it offers very concrete methods for people to work with.